This article from Turbo Magazine was originally from September, 2001. Way back when, nitrous for an R33 sounded like a good idea. 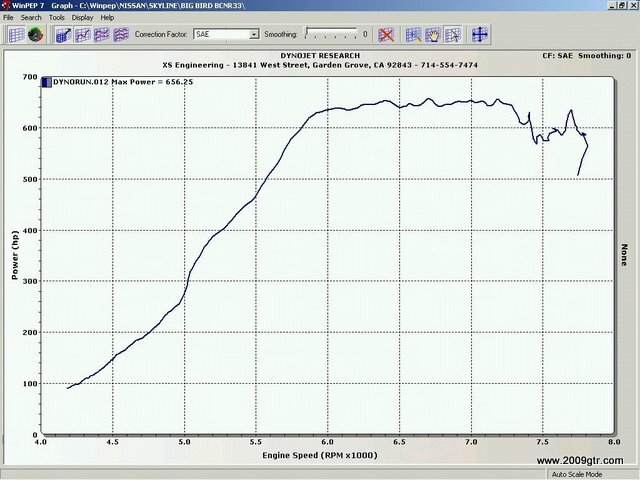 With the stock engine, some 2530's the car was 440 horsepower at the wheels. 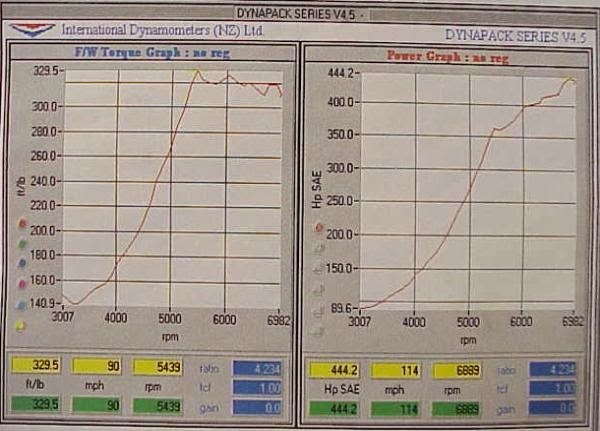 Once we added direct port nitrous, it did over 650 horsepower at the wheels, even on a pretty small shot. The stock engine held up to several 10 and 11 second passes. The twin plate clutch got a little unhappy at one point. One of the 2530's gave up on the 10.7@137 mph pass. Broke a piston out in Arizona on the 2540's messing around with the tune. Check out the install article. Adding nitrous to the already potent Nissan Skyline GT-R may seem like overkill to many. Where we come from if there is a way you can make more power you take it. Our test subject has an enviable racing history. It was modified for Pike's Peak competition and was the Showroom Class winner in 1999. After Pike's Peak, Sean Morris of MotoRex had the motor "tweaked" to where it was putting out around 444 horsepower at the rear wheels. He intends to have this car set up to compete in import drag racing. We decided to follow the installation of a Nitrous Oxide Systems kit on this car to better illustrate the installation steps touched on in the preceding Basic Tech article. The installation was performed at the So-Cal Speed Shop in Pomona, Calif., builders of world-famous street rods, custom cars, strip cars, track cars, lakes cars and custom engines. I think this is from Big Bird. Gear ratio is set wrong. An old Big Bird dyno chart. with nitrous. Breaking up a the top.